Posted July 25, 2017 by admin & filed under Podcasts. Welcome everyone to the Ontario Small Claims Court Podcast. I want to thank you for taking the trouble to download this episode today and I hope that I can help you in some small way. I’m Simon Brown and this podcast comes to you via iTunes, Stitcher Radio, or by using your favourite podcast app and downloading your shows at www.osccpodcast.ca. 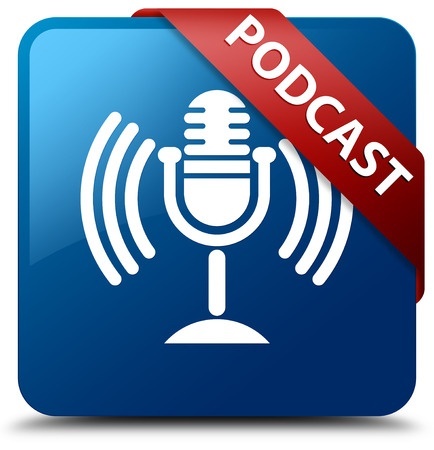 If you haven’t done so already, you can either subscribe to iTunes or Stitcher Radio to get the latest update from the Ontario Small Claims Court Podcast and have it downloaded automatically to your device. In this Episode 9 of the podcast, we are going to talk about going to trial. Try as you might, the other side refuses to see your side of the problem. Hopefully, it’s not a case of letting your cognitive biases get the best of you, meaning that you will continue to press on to trial despite the fact that the law is against you. In any event, you and the other side can’t see eye to eye, therefore you are going to trial. To a certain extent, it represents a failure in the process. At the heart of the matter is a dispute between two or more parties and there will be a clear winner and a clear loser. Take a moment or two to mourn that loss. In less civilized days, there were different forms of trial. There used to be trial by combat and trial by ordeal. Trial by combat was used in civil disputes that the two opponents would have a duel to the death, the survivor being declared the truth-sayer and protected by God for their virtue. Trial by ordeal was essentially a criminal prosecution method. The suspected defendant would have to endure a life or death ordeal such as having to walk through a burning fire, or to have molten metal poured on their chests, or even pulling a stone from a near-boiling kettle of water. Now we get someone else to evaluate the evidence and make a decision. It’s a lot less gory, if you ask me. First thing to remember about a trial is that a trial date is not automatic on the court’s end after a settlement conference. You have two years from the date of the settlement conference to do something, namely, to fill out the Request to Clerk Form and check the box for request for trial date. If none of the parties files for a trial date, then the matter is considered to be abandoned. It is usually a good idea to send a letter to the other parties involved to request available dates to set a trial date. It shows that you have manners and class. If they don’t respond to your letter, then consider yourself free of that burden and schedule a trial date with the clerk of the Small Claims Court. Remember that each courthouse will have different procedures in setting court dates. Sometimes it is a dedicated trial co-ordinator, other times it is the court clerk at the window. If there is an agreed upon date or dates, then the trial is scheduled and you pay the fee to the clerk for that privilege. The clerk will tell you the date and print up the Notice to send out to the parties by mail. The court clerk may ask as to how long the trial is supposed to last. Sometimes, the Deputy Judge in the Settlement Conference will come up with a number, such as a half-day trial or a full day one. It helps the court clerk to determine a date for the trial. Take note of the date. This is very important. A number of key rules hinge around the trial date. One of them is evidence. All of the evidence that you intend to rely upon in the trial has to be delivered to the other party and to the court at least 30 days before a trial, along with the appropriate affidavit of service filed with the court. If you need to amend a claim, you need to do this at least 30 days before the trial date. If you are changing your claim with less than 30 days left before trial, you need to have consent with the other party before doing so, or, failing consent, make a motion on notice that you intend to do so either before the trial date or on the trial date itself. Just a reminder: leaving it late in the game to amend your plaintiff’s claim, defendant’s claim, or defence may have cost consequences for the impending delay that you are going to create, so be aware. If you do not show up for the trial date, then the action can be dismissed with costs in the case of the plaintiff’s claim, or finding of liability in the case of a defence, with added costs. Going to a courthouse for your trial will be intimidating at first. You’ll be fine. Arrive early to courthouse to give yourself time to find which courtroom you are in. Although, on your Notice of Trial, they will have the courtroom number listed, it could be moved to another courtroom on the day. That means that you will have to confirm the trial docket list at the main board in the courthouse. In the bigger courthouses, there is a very large board divided into civil and criminal courts. On the Civil Trial board, the dockets are subdivided for each courtroom. The Docket list for Small Claims Court will have a number of matters, up to about 10 separate matters for the day. It usually breaks down this way: there will be about three or four motions scheduled, along with three or four hearings, such as a contempt hearing or an examination hearing. Towards the end of the list, there are scheduled up to three trials. Don’t panic. This is deliberate on the part of the court. The motions and hearings usually take up the least amount of time. It only gets dicey if any of these hearings are contested. Why are up to three trials scheduled for the day? The court is betting that up to two of the trials will either be rescheduled and be given priority above the rest, or will settle on the trial date. If there is a trial that is in its second trial date or more, that trial has the priority. About fifteen minutes before the scheduled court time, either the court reporter or the court services officer will come out of the courtroom and will take attendance. At the appropriate time, you will be asked to enter the courtroom. The playing field known as a courtroom can be a bit disorienting at first. When you enter the courtroom, there is a section known as the public gallery or body of the court. In between the body of the court and the judge’s dais is a low fence known as the “bar”. It separates the public from the people at trial. Next, there are two tables which are called counsel tables. That is where the Plaintiff and the Defendant sit. Plaintiffs are on the right-hand side (or the Judge’s left); Defendants are on the left-hand side (or the Judge’s right). Sometimes there are signs that help direct you to where you should be. If in doubt, ask the Court Reporter or the Court Services Officer. In between the Judge’s desk and the counsel tables sit the Court Reporter, the Court Monitor, and also the Court Services Officer. Court is a formal place to go and it has a protocol or way of doing things that represents the history of the court. When a judge enters or leaves a courtroom, you have to stand up. If a judge enters the courtroom, before she sits down, she will bow to the body of the court. You will return that bow. You do not have to bend at the waist to make the bow, or curtsy to the judge. You bow from the neck. Don’t bring food into a courtroom; ditch it outside in the garbage can. Don’t you dare chew gum in court, as well. Take your hat off inside the courtroom; the only exception is religious headgear. When talking to a judge, do not put your hands in your pockets. If you are a nervous fidgiter, you can hold your hands together, place them on the desk in front of you, or hold onto the sides of the lectern. Do not leave the courtroom when the judge is speaking. Do not talk to your friend or witnesses when you are waiting for your matter, because it is very distracting to the participants, let alone the judge trying to consider the evidence before her. Lastly, don’t read the newspaper or a magazine inside the courtroom; it’s disrespectful, to say the least. Boom! There it is! Opening statements are now out of the way. It was short, to the point. On the Plaintiff’s side, you know that there is a contract of some sort at hand. On the Defendant’s side, you know that there was some sort of problem with the widget, and that’s why they’re not paying. Both sides have stated that they have evidence to support their side of the story. Nobody is dissing each other, calling them names, or taking pot-shots at each other’s character. Here are a couple of things to know about presentation. It’s good to write things down to know where you are going with an opening statement or submissions. If you can help it at all, try not to read it from the page or, at the very least, look up to the judge and make eye-contact with her. Public speaking is the number one fear people have. The one thing that should help guide you when you stand up and make your opening statement is to remember that you are really only talking to one person: the judge. So, now that opening statements are out of the way, the plaintiff will start with their case. You will be calling evidence through witnesses. As you are representing yourself in this case, you will tell your side of the story. Don’t do that old Hollywood gag where your personality is suddenly split between being a lawyer and being a witness, where you ask a question then run to the witness box and give the answer. First of all, it’s tiring to do and tiring to watch. Secondly, it makes you look like a fool. Just tell your side of the story honestly, without cheap shots to the other side, and answer any questions that the judge asks of you. Having done your legal research ahead of time, you have a good idea as to what the legal tests are and what information is needed to prove your case. You will have some documentary evidence of some sort, whether it is a bill, estimate, or a letter, that helps you to make your case believable. When you are telling your story to the judge, don’t forget to answer the questions: who, what, when, where, how, and why. You will probably have to repeat this sequence of questions several times for each fact that you present to the Small Claims Court. Being able to answer those questions give the Deputy Judge weight, in air quotes, to your evidence. Weight, (I’m doing air quotes again) is legalese for “making your fact more believable”. When judges speak of evidence having more or less weight, they are talking about the evidence having more or less believability. This is different from credibility. Credibility, (more air quotes), has to do with whether a judge believes not just the evidence, but the person giving the evidence. That is a larger context. A judge can find weight in a person’s evidence, but find the witness themselves lacking credibility, or in other words, whether the judge finds the person to be more or less truthful. When you are finished with your story, the judge may ask you some questions. Once she is done, the Defence will have an opportunity to cross-examine you. They will test your story, they will try to find holes in it, and they will try to reduce the weight of your testimony. A few notes as to how to respond to cross-examination. First of all, listen carefully to their question. Always answer their direct question. You do not have to volunteer any additional information. Don’t lose your temper with the person asking you questions. They can ask almost any kind of question, but within limits. The Small Claims Court is guided by section 27 of the Courts of Justice Act. That section states that the court can admit as evidence anything that is relevant to the subject-matter of the proceeding, but can exclude anything that is unduly repetitious. When cross-examination ends, sometimes there are new issues that you didn’t raise in your examination-in-chief that came up during cross-examination. The Deputy Judge will give you the opportunity to address those new issues in re-examination. This re-examination is in part to give you the fair opportunity to respond to the new issue, but only the new issue. You can’t go off bringing up new issues up unless you have another witness to examine that can address the new issue. The Defendant will be given an opportunity to also respond to your re-examination in regards to that specific issue. Some of you will have additional witnesses to give their version of events. Usually it’s to help you support your version of the facts. They saw the same thing you did, for example. When you call your witness, you are limited to what kind of questions you can ask. Remember the who, what, when, where, how, and why questions? Those are called open questions. An open question allows the person answering to tell their story; it allows them to elicit the facts of your case. A closed question usually has the answer to the question within the question itself. A closed question usually only have a yes or no answer. When you are asking questions in examination-in-chief, you are only allowed to ask open questions. You may have to introduce documents to be made into evidence for the court to consider. There is a special way to do that. Generally, to introduce the document, you will have to establish what the document is. You have to introduce the document to your witness to see if they recognize it. If your witness made the document, ask them who made the document. This is called authorship. Generally, a witness cannot testify on a document that they are not the author to, but there are exceptions. You then ask the court to make the document an exhibit for your case. Write down the number or letter for the exhibit so you can help the court to reference it later when you make submissions. When you are finished with your questions, the defence will have the opportunity to ask their closed questions as cross-examination to your witness. To turn the evidence made against your case into evidence that can help your case. When you cross-examine the witness, don’t be angry or antagonistic against them. The witness is already defensive, especially the plaintiff or defendant. What you need to do is to be polite and sincere. When the plaintiff or defendant acts defensively on cross-examination, they risk making themselves less believable in the eyes of the court. Let them do that job for you. There are other witnesses that are third parties that usually have no axe to grind. Most of these witnesses are willing to help. To get the most from a willing witness, it is better to ask them to help you out in explaining things to the court. When all parties have presented their evidence, the Plaintiff will be allowed to give closing arguments, also called submissions. This is where the art of public speaking begins. You are going to put together all of the pieces of your case, from all of the evidence you have had entered, pull apart the pieces of evidence entered by your opponent, apply the law to all of it, and explain to the deputy judge exactly why you should win. The Defendant will also be allowed to give submissions by putting together their pieces of their case, reconstruct the pieces of the plaintiff’s evidence to create a different picture, apply the law to all of it, and explain to the deputy judge exactly why they should win. Time for judgment. The Deputy Judge will do one of three things: give their decision right away, take a brief recess in order to take some time to review their notes and then give a decision, or do something called “reserving” their decision in which the court is adjourned to a new day and time to give their decision. On rare occasions, a written judgment is sent to the parties after submissions so that the parties don’t have to come back for a new trial date just to hear a decision, but also to allow the Deputy Judge time to reflect on the evidence before handing down a decision. Deputy Judges typically have up to three months to render a decision. Some Deputy Judges will give detailed reasons, most often orally. Final orders are usually quite sparse, a finding for or against a party, how much money is owed to a plaintiff (if at all), and the allocation of costs and disbursements. When a decision is handed down, there is one more decision to be made by the Deputy Judge: how much for costs and disbursements. Costs and disbursements are in addition to whatever a plaintiff claims as damages. If your damages are twenty-five thousand dollars, and remembering that the jurisdiction of the Small Claims Court is no more than twenty-five thousand dollars, the winning party shall get costs and disbursements as extra money awarded by the court. Costs involve the fees to file claims or defences, or representation fees. Disbursements are the bills you paid in connection with your Small Claims Court Matter, such as transcript fees, courier charges for delivering documents to each other, process server fees, sometimes even travel expenses for witnesses for them to appear in court on your behalf. Costs and disbursements in Small Claims Court will have its own podcast episode, but suffice it to say that this will become the last area of argument between the two sides at trial. There are some rules that you will have to be aware of. Those rules are Rule 14 and Rule 19. These rules are also governed by section 29 of the Courts of Justice Act. Rule 14 has to do with the doubling of costs in the face of a reasonable offer to settle before having a trial. The courts definitely will penalize someone who didn’t accept a reasonable offer before the time limits established in Rule 14. This rule applies to both Plaintiffs and Defendants. Rule 19 discusses the kinds of costs and disbursements allowed to be paid by the unsuccessful party, representation fees, compensation to self-represented parties, and monetary penalties added as costs to parties that unduly complicate or lengthen a matter. That’s the end of a trial. At one time, trials usually took no more than a half of a day to a single full day of trial. With the increase in the monetary limit to twenty-five thousand dollars, I am seeing more matters that are a bit more complex, requiring expert witnesses, and increasing in time from a single day trial, to three, even four-day trials. The last thing to talk about is what happens when you get a decision that you feel is wrong or a special circumstance has occurred in which your matter was not given a full hearing? There are two instances where you have an out. There was relevant evidence that was not available to the moving party at the time of the trial and could not have been reasonably been expected to have been available at that time. If you disagree with the ruling in Small Claims Court, and for any other reason other than one of the two conditions mentioned earlier, you have no choice than to bring an appeal to the Divisional Court. Divisional Court is like the Small Claims Court. It is a branch of the Ontario Superior Court of Justice. It is a court that is created by statute law. The Divisional Court’s jurisdiction to hear Appeals in the Small Claims Court is found in section 31 of the Courts of Justice Act. The Divisional Court does not hear all appeals; there is a prescribed amount before the Divisional Court will consider your appeal. The prescribed amount as of June 2016 is $2,500.00. That means that the Plaintiff’s Claim must have been for $2,500.00 or more. If it is less than that, you have no right of appeal. This also means that if the Plaintiff sues for $10,000.00, but the order is for $1,000.00, you still have the right of appeal because of the fact that the claim is over the prescribed amount. The amount of the order is not to be considered. Now, I’m not going to go through the ins and outs of a Divisional Court Appeal in this episode, but I will go over some of the considerations you will need to make before you decide to embark upon an appeal. Your first consideration is that appeals from the Small Claims Court are risky ventures. You will have to be dead-certain that the law is with you to take it to an appeal. Over 80 per cent of all appeals fail. Those are not great odds when you consider that 4 out of 5 appeals will lose for sure. The second consideration is that Divisional Court is not user-friendly to self-represented parties. Section 31 of the Courts of Justice Act may set out that there is a jurisdiction for an appeal, but the rules of that appeal are found in the Rules of Civil Procedure, starting at Rule 61. From the timing of an appeal, to the colour and weight of card stock on the back of your thirty-pages or less factum, down to the short-forms allowed for naming the electronic files for use by the Divisional Court; this process is rules-based and you will need to follow them as best as you can. My understanding is that if you hire a lawyer to take you through the Divisional Court, you are likely to put down a $5,000.00 retainer, just to start. Costs then go up from there. The third consideration is an appeal is not a do-over for your trial. There is no new evidence admitted. You will have to get transcripts of your trial and point out if there were errors in law that the Deputy Judge has made. If there are no errors in law, then the Deputy Judge must have misunderstood the evidence. Even if you find that there has been some sort of error, it does not necessarily follow that it will change the outcome of the judgment made. The fourth consideration you should make is that if a party is successful in their appeal, they are entitled to costs for the appeal. It also follows that if the party loses the appeal, they will have to pay costs. Can you afford the extra expense? What if the other side hires a lawyer and you didn’t and you lose the appeal? You could be looking at paying $5,000.00 extra that you didn’t expect or have to pay if you didn’t launch an appeal in the first place. A fifth consideration is that you are now expending more time, money, and effort in prolonging the outcome of your Small Claims Court matter, in essence defeating the features that Small Claims Court has: speed and efficiency. So, in other words, a Small Claims Court appeal is not for the faint of heart. But I don’t want to discourage you from launching an appeal. I cannot stress enough, however, the necessity of seeking legal advice before you file your Notice of Appeal. That wraps up this podcast. Your comments and questions are always invited. There are guides written by the Ministry of the Attorney General that are available at most Small Claims Court locations or on line at www.attorneygeneral.jus.gov.on.ca/english/courts/guides. There you will find the Guide to Getting Ready for Court. Thank you for listening and I hope you join me again soon.